Are you planning to have a romantic moment with your loved one? An overnight hotel stay in Phuket is always a great idea to create that special moment, whether you are celebrating as newlyweds, anniversaries, and any kind of occasions. Be hands-on in setting the mood of the getaway and don’t just rely on the hotel staff. Aside from selecting the right romantic hotel, plan ahead and pack the right things to help generate a romantic atmosphere on your getaway. Bouquet of roses. Who doesn’t love a fresh bouquet of roses? A beautiful bouquet of flowers will most likely impress your partner. If you want to ensure the freshness of the flowers, you can contact the hotel in advance and ask them to prepare the bouquet upon your arrival. Formal Attire. 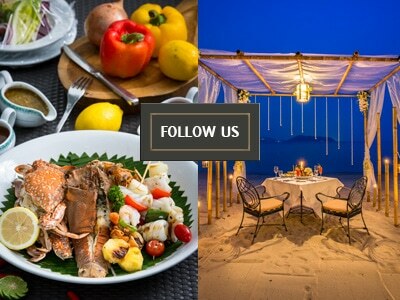 A romantic getaway in Phuket is much more appreciated when you can enjoy a special dinner together. Create a memorable evening by booking a special occasion restaurant and ensure that you prepare the appropriate attire. Consider bringing other types of clothing. If you have plans to do some sightseeing and or have a romantic beach stroll with your partner, be sure to bring the right clothing and shoes that will be comfortable. A Special Gift. One of the ways of making your getaway more romantic is by preparing a surprise, whether simple or extravagant. In addition, the gift will serve as a lifelong reminder of your special getaway. Special Songs. Prepare and play some songs that have significant meaning to your relationship. Almost all hotels have stereos that you can use to play the songs and set the right mood. Camera. Don’t forget to bring cameras or video cameras to capture all the romantic memories. Documenting all the happy moments will help you to remember special moments when you get older.